What is the Fire At Will Ring? Although very common and generally harmless (unless associated with sleep apnea), snoring can greatly affect the quality of your life, which is why so many people turn to various snoring aids to help them (and their bed mates) get a good night’s sleep. One quality of all the best snoring aids is the ability to reduce snoring while allowing you to sleep comfortably and without interruption. Our Fire At Will Ring review will show you one of those devices that are particularly recommended for those who don’t want to meddle with mouthpieces and chin straps. This product is ranked #3 on our Best Anti-Snore Rings list. The Fire At Will Stop Snore Ring is a snoring device that works by implementing the ancient principles of acupressure, combined with magnetic therapy. It is an acupressure ring made of copper, which, when working correctly, applies very light pressure on certain points on your little finger. Those points are connected with mechanisms in your body that regulate breathing and snoring. Copper is a metal that is believed to have some magnetic properties and to be beneficial for the entire body and the overall health. It is supposed to balance the electromagnetism of your body, so that everything can work normally again. 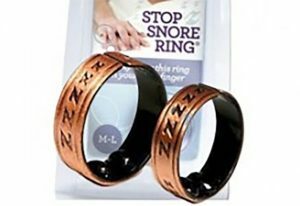 In addition to reducing or downright preventing snoring, the Fire At Will Stop Snore Ring may help with insomnia, sinus issues, nasal congestion, and restless sleep. It can additionally make you feel refreshed and well-rested in the morning, which is something most heavy snorers definitely need. As we said in this Fire At Will Ring review, the ring is made of copper and has two acupressure activators that are located on the inside of the ring. There is a small gap on the ring, which is supposed to face upwards, and you can adjust the size of the ring by gently squeezing the sides and reducing or enlarging the gap. However, note that the Fire At Will Stop Snore Ring comes in different ring sizes – small to medium and medium to small, so you can find your perfect fit. The main difference between the Fire At Will Ring and other snoring devices is that it does not affect your jaw, teeth or tongue. It does not exert any physical force on any of those organs and it does not interfere with your airflow. Instead, it works from “within,” by applying very light and soft, basically imperceptible pressure on certain points on your finger. 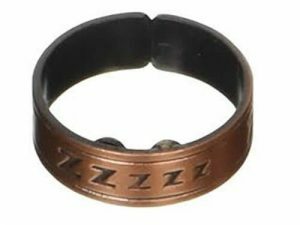 In addition, unlike some other anti-snoring acupressure rings, this one also has the therapeutic properties of copper, so in addition to stopping snoring, it also improves the overall quality of sleep. The Fire At Will Stop Snore Ring is very comfortable and most users report that it is very easy to forget it’s even there. You are supposed to wear it at least 30 minutes before bedtime. The proper way to wear it is to place the gap on the upper side of the finger. 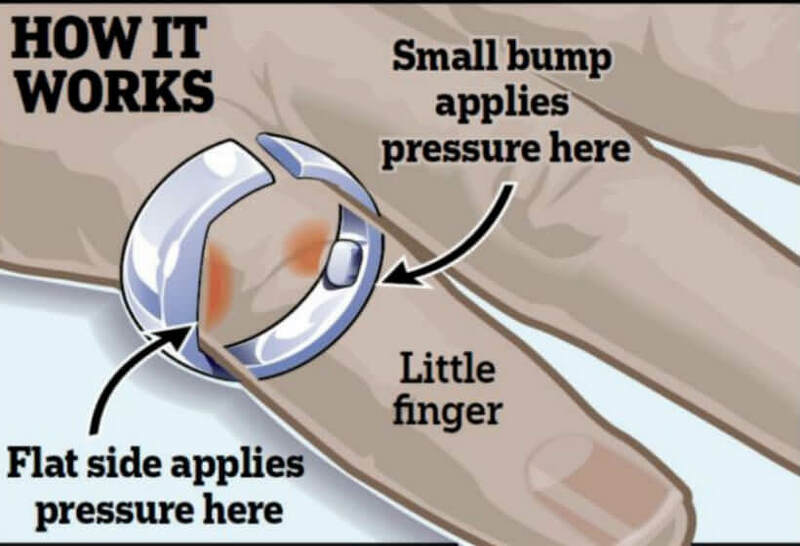 That way, the acupressure activators will be placed exactly on the appropriate acupressure points on your finger. This snoring ring does not cause almost any side effects at all. You can adjust it for maximum comfort so that it doesn’t feel tight. Just don’t make it too loose; otherwise, it may slip off your finger during sleep. In some cases, the copper may cause some staining on your skin, which is fairly easy to clean and does not cause any harm. One Fire At Will Stop Snore Ring costs around $12, two rings are $24, and three rings are $32.50. As far as the price of snoring aids goes, this is average, if not on the more affordable side of the spectrum. The manufacturer also offers a convenient 30-day money back guarantee. If you are still unsure if Fire At Will Stop Snore Ring is right for you, check out the key advantages and flaws of this snoring aid. After reading our Fire At Will Ring review, we hope you perceive it the same way we do – as an easy-to-use, cheap, and convenient snoring aid, ideal for people who don’t feel like using a mouthpiece or a chin strap and don’t want to use anti-snoring drugs. It’s simple and elegant and, according to many users, very effective against snoring. Our ratings are the result of an objective and independent evaluation of Fire At Will Stop Snore Ring, generating the final rating that reflects the overall quality of the company. Ratings may change as the product introduces changes. Fire At Will Stop Snore Ring user rating based on 5 user reviews. We bought this ring to try and stop my husband's snoring since he started waking me several times every single night. The ring looks okay, it's some kind of metal, and it arrived quickly and in good shape. My husband has been using it for around a month now and need didn't do much for his snoring. It didn't fit the way we taught it would, so that may have something to do with it, but bottom line, he still wakes me a couple of times a night. What a terrific little ring! I love my Good Night antisnore ring! Acupressure is real, you guys! I know I don’t have to but I wear this ring all day long. I just like the way it looks on my finger. This is a very good product. I don’t know how exactly, but these acupressure thingies made me snore less than ever. I mean, nothing will ever cure snoring for me, I know that, but now I definitely snore less. Copper is an amazing material and can cure a lot of stuff in your body so that’s why I bought this ring. At first my finger felt sore at the spot where the little balls are, but I got used to it. We found 0 verified Fire At Will Stop Snore Ring discounts for April, 2019. There are no Fire At Will Stop Snore Ring coupons or discounts right now. In order to be sure that Fire At Will Stop Snore Ring truly is the best solution for your snoring troubles, you need to know what makes it superior or inferior to its alternatives. Discover how Fire At Will Stop Snore Ring compares to other popular snoring aids of its kind with our detailed feature and price comparisons and easily determine whether you are making the right choice.